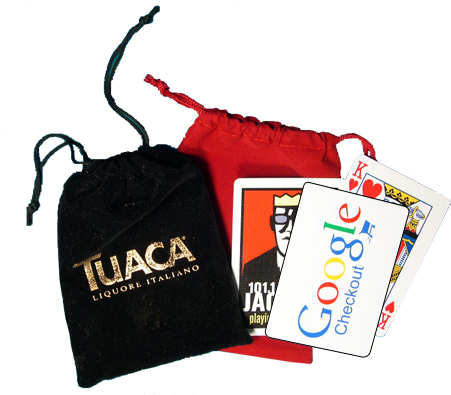 These branded playing cards come in customized velour drawstring bags. You can choose from a wide range of playing card options - full color, one-color, or custom face to meet your specific needs. Please call 1-800-233-0828 to learn more about this unique and fun give-away.